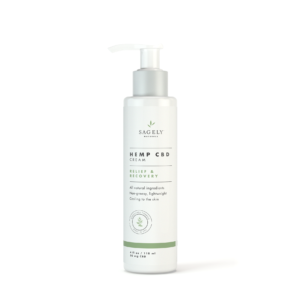 Loaded with CBD, essential oils, & cooling menthol, Sagely Relief & Recovery Cream may help tired, stressed, or fatigued muscles & joints. Their original formula was created by PhD chemists, in state of the art facilities and with high grade hemp. Made in the USA. Available in 2 fl oz & 4 fl oz sizes.